Last month, Google (finally) released Drive File Stream. Unlike the Drive Sync Client it replaces, Drive File Stream provides “mapped drive” access to files in Drive. In doing so, you can browse, search, and use Drive like you would any mapped drive through Windows File Explorer and Finder on Macs. By mapping and using a cache, you have access to all of your Drive contents without having to sync all of your content to your device. While you can still select files and folders to sync for offline access, the Drive File Client gives you and your local applications access to your files in Drive. As a second improvement over Drive Sync Client, Drive File Stream connects you to both your “My Drive” and “Team Drive” hierarchies. The integration with Team drives, in particular, adds specific value. Team Drives provide file sharing hierarchies that include many traits of a traditional file serves. With Team Drives, the system owns the space and administrators centrally manage permissions. You can grant members of Team Drives limited administrative rights and you can control which members can view, comment, and edit files and folders. Permissions are hierarchical with inheritance pushing permissions down to subfolders and files. Combining Team Drives and Drive File Stream gives you a “file server like” experiences. You use your local apps, browsing and searching for files in Explorer or Finder. You open, work with, and save files like you do for local files and files on traditional file servers. You manage permission by Team Drive and your folder hierarchy. And while you do not have all of the granularity with Team Drives as you do with a Windows File Server, for example, you have enough to build a managed file service. Because of the differences in permissions granularity, you are more likely to have more Team Drives than you might have top level folders on a traditional file server. Combining Team Drives and Google File Stream does not give you all of the features and functions of a traditional file server. By creating a managed file service, however, you do have the power to manage access and use of your data and information. 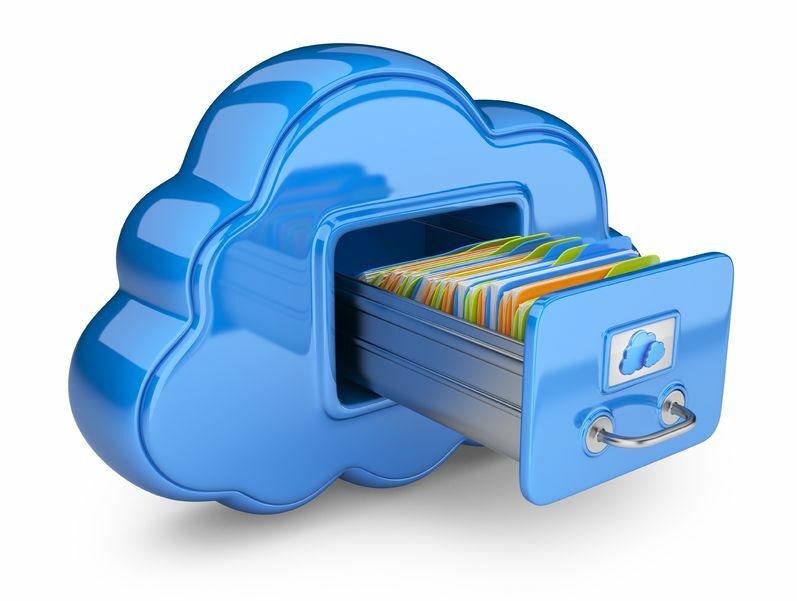 And better than a traditional file server, your managed file service will server the needs of user with local, traditional applications and those working in the cloud. Best Practice: Plan your team memberships and permission, hierarchies, and management strategies before you start building your Managed File Service using Team Drives and Drive File Stream. Contact us for a Cloud Advisory session to discuss your needs and project. https://www.cumulusglobal.com/wp-content/uploads/2017/10/DFS.png 159 318 Allen Falcon https://www.cumulusglobal.com/wp-content/uploads/2014/10/cumulus-global.png Allen Falcon2017-10-09 08:56:252017-12-04 17:17:22Does Team Drives + Drive File Stream = File Server? Most organizations we work with are looking to the cloud for better collaboration, mobile integration, and remote user support. 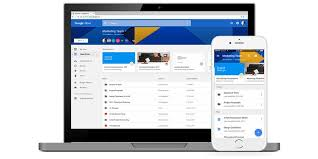 Google’s release of Drive for Work (aka Google Apps Unlimited) in 2014 promised to align Google Apps with user needs and priorities. Over the past several months, Google has deployed several security and feature enhancements that make Drive a more robust file service. Some are only available with Drive for Work, others apply to all Google for Work domains. To keep track of when specific actions are taken in Drive, you can set up custom Drive alerts. So if you want to know when a file containing the word “confidential” in the title is shared outside the company, now you’ll know. And there are more events coming to Drive audit, including download, print and preview. There are lots of moving parts to running a company, and now it’s easier for IT to find out about the things they care about with custom alerts — like when a new app is installed or a shared calendar is deleted — and get those right in their inbox. Recovering passwords isn’t the most pleasant thing we do in our lives. But now IT can let employees securelyreset their own passwords, so they don’t lose valuable time being locked out of their account. If this doesn’t make sense for your organization, admins can simply turn this ability off. When it comes to sharing, like giving final inventory lists to your caterer or last minute logos to your design agency, you want to make sure people can see it right away — whether they use Drive or not. Now, you canshare with any email address and they’ll be able to view the files you share —without having to sign-in to a Google account. Admins can disable this feature for certain departments that want to require sign-in before , while enabling it for others. CIO Magazine recently published a report claiming that 80% of Google for Work customers with more than 1,000 users are not utilizing Google Drive. The statistic is based on whether or not users worked with Drive at least once per month. This is disappointing given that studies show the powerful benefits realized when the collaborative features of Drive are fully utilized. While the report does not discuss why Drive adoption is low, we have our suspicions. In Drive (and oneDrive and other cloud file services), users create their own folders and share them with individual and teams. Each user “owns” their space and their files and to find a file, it helps to know who shared it with you. And, without central management, naming conventions, and other controls, it is difficult to control and manage access to sensitive information. While these file services are not as challenging as Windows for Workgroups (circa 1992), they come pretty darn close. Users familiar with a central file structure are easily frustrated with peer-to-peer sharing and file services. Yes, Google recently announced that Ernst & Young has verified the ISO 27018 cloud privacy standard for Google Drive. But when users think of security, they are concerned about sharing — or permissions — of their files. 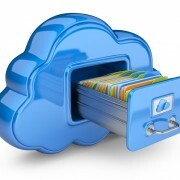 In any cloud file service, it can be difficult to fully understand who will have access to the file you are creating or uploading. And, the nuances of Google Drive can take time to learn. For example, when sharing a link for a Google Doc with a person that does not currently have permissions, you are prompted to allow anybody with the link to view (or comment, or edit) the document. If your intended recipient forwards the message, access is available to others outside your original intention. In Drive, and other similar services, the relationship between exposure (who can see, view, edit the file with or without credentials) and explicit access permissions has a learning curve that is often overlooked. People will avoid using Drive if they are worried about exposure and permissions. Google Drive is more flexible, and in many respects more powerful, than traditional Windows and Linux file shares. This power, however, can be distracting to end users. Having multiple documents with identical names in a folder, for example, throws many for a loop. It’s not intuitive given their experience and it can create confusion as to which document is correct or current. Using Drive and other cloud file services is different, but you can take steps to ease the transition and improve adoption. Beyond the basic “clicks and drags” of Google Drive, help your users learn and understand how to use Drive effectively. Cover permission settings so they understand how to share safely and with confidence. Discuss document naming and version management, including how to upload new versions of documents without creating duplicates. Help them learn now to navigate drive, use the search bar effectively, and launch applications from within the web interface. Yes, there is a cost, but the value for many companies is much greater. Permissions are not just about user settings. Permissions should — and can — be driven by your privacy needs and the content of your documents. Tools like BetterCloud and CloudLock give you the ability to monitor and manage user access and permissions based on business rules and content as it is created or uploaded. Analysis for HIPAA, PHI, PCI, and other compliance requirements is built-in, with the ability to create customized rules for your specific needs. With the right tools, and a knowledgeable workforce, you and your team will better adopt and utilize Drive. And with adoption, comes results. Please Contact Us if you would like information about any of the services mentioned in this post. One of the hurdles many face when moving to Google Apps is how to deal with MS Office. Some users feel they cannot live without some of the advanced formatting and features; others are concerned that they receive and work on MS Office documents received from others. Until now, in order to edit MS Office documents in their native format, users had to download or sync files to their local disk or use the limited editing capabilities of the Chrome browser extension. Both are less than ideals. Can you click on a Word doc saved in Drive, have it open in Microsoft Word, and have the file save to Drive? … YES! Yes, you can! With AODocs File Server and the AODocs SmartBar Extension for Chrome, you can use Drive in your Chrome browser, select and edit MS Office files, and have them save directly within Drive. You can effectively replace Windows Explorer with Drive + AODocs. Click Here to see a quick demo with Word. The solution works for Excel and Powerpoint files, too. Want to know more? Contact Us for a 1:1 demo of the full AODocs File Server solution. 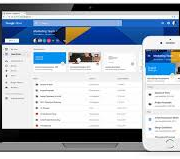 Google Apps is designed for secure sharing and collaborations. Many users, however, still rely on the back-and-forth of email to get their work done. Here is the 5th of 5 other ways to collaborate in Google Apps. Google Hangouts is more than a basic, HD quality, audio and video conferencing system. Hangouts let you conduct one-to-one and group video and chat sessions from your desk, laptop, tablet, or smart phone. Some project managers have team members join a Hangout, mute themselves to work independently, and unmute when they need to integrate with team members. Install the Google Drive script for Google Hangouts and team members can review, edit, and discuss documents during the video meeting. Enable your team to do more with Google Apps and get more done. They will thank you! Contact us to learn about self-paced, live, and custom training options.